Twilight surrendered more to darkness as they ran. 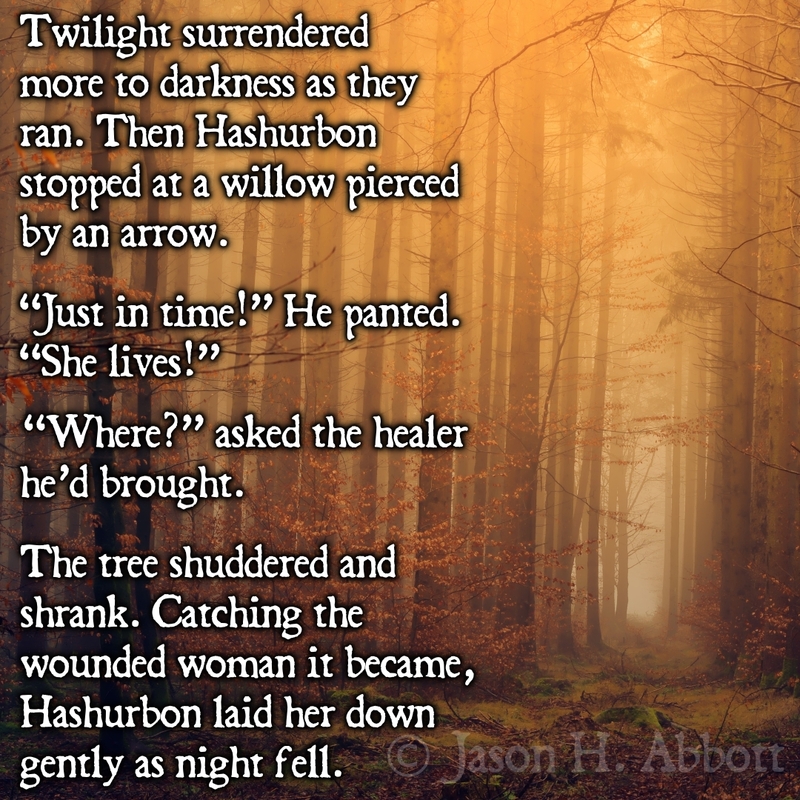 Then Hashurbon stopped at a willow pierced by an arrow. “Where?” asked the healer he’d brought. The tree shuddered and shrank. Catching the wounded woman it became, Hashurbon laid her down gently as night fell.